Fancy some free festivities on The Moor this weekend? Celebrate the beginning of the festive season on The Moor this weekend with one big ol’ Christmas party! On 18 November from 12:30pm, you’ll find Santa, fairground rides, festive face-painting, a Christmas choir, stilt-walking reindeer, a giant snowman and so much more as The Moor is transformed into a free winter wonderland to get even scrooges feeling that little bit Christmas-sy. As well as plenty for the kids to do (including the chance to meet the Snow Queen), there’ll also be a living Nativity, real reindeer, snow machines, Christmas elves, dance performances and a brass band to sound-track your Sunday. 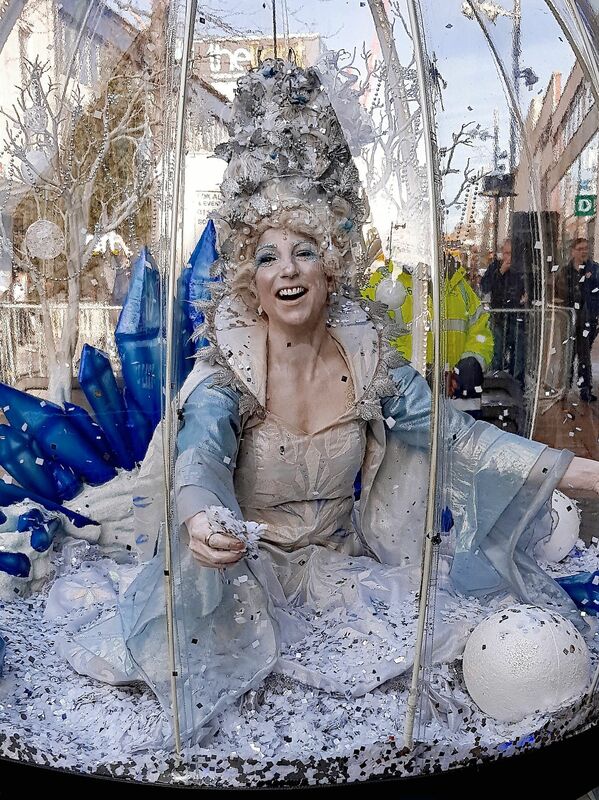 The Snow Queen'll be there spreading Christmas cheer. Fancy it? As part of the city centre’s Christmas lights switch-on, consider this the perfect chance to get ahead with your Christmas shopping, as well as something that’ll get the whole family out and about this winter in Sheffield. Want to know more? Head to www.moorsheffield.com.